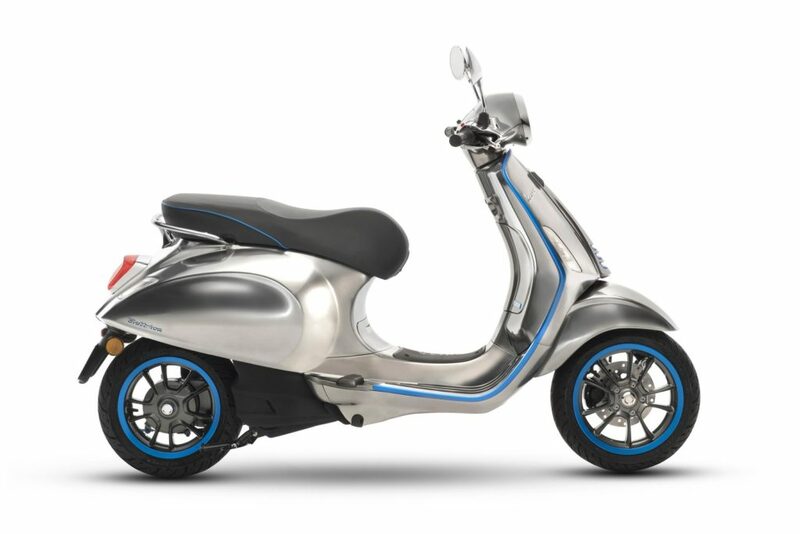 The Current: Here Comes Vespa's Elettrica e-Scooter! The 2018 Vespa Sei Giorni 300 scooter retails for $7,699, and if the fuzzy logic of parent company Piaggio is any indication, its long-awaited Elettrica electric scooter will arrive in the US sometime in 2019 for roughly the same price. Is anybody gonna bite on an electric Vespa with the same amount of range and gusto as a 50cc for a 300cc price? 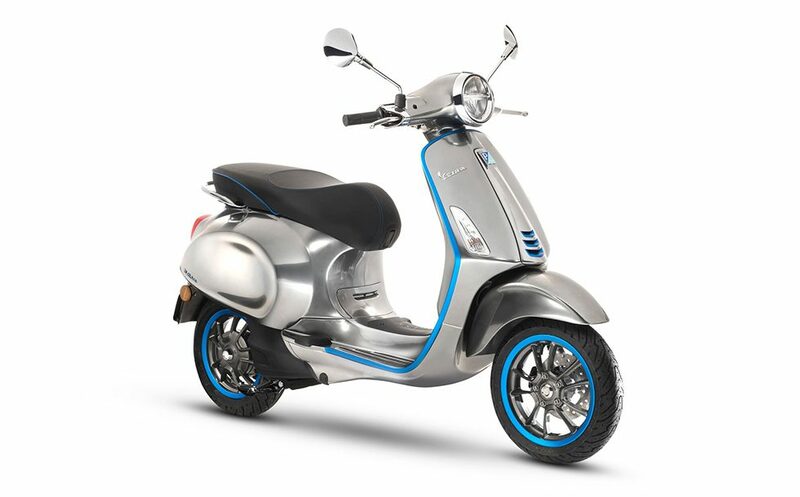 While the love the concept of an electric Vespa, our money’s on the next-gen Elettrica X hybrid, coming out soon. 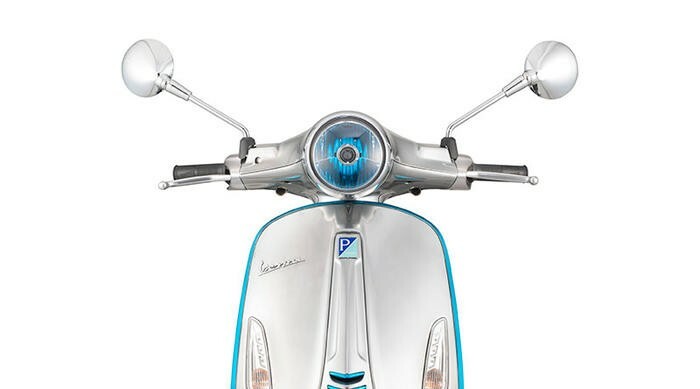 European Vespa lovers will get first dibs on the Elettrica in October via an online portal as yet to be named. EU roles prohibit removable batteries on e-scooters, so riders will have to plug their Vespa into an outlet, which isn’t always easy – very few urban Europeans have garages! With a 62-mile range and an Eco mode top speed of 19 mph (other details are forthcoming), the Elettrica needs four hours for a full recharge. Vespa says its battery should last up to 10 years (or a thousand charge cycles); will be good to find out how much it will cost to replace that battery, because most Vespas seen on the streets of San Francisco are decades old. The Elettrica—to be produced at the Pontedera plant in the province of Pisa, the same one where Vespa first rolled off the line in the spring of 1946—is silent, and has some artificial intelligence features, including nearby pedestrian and vehicle detection, along with suggesting alternative routes when traffic is bad. With something like 200+ Million e-scooters already on the road in China, proof of concept is already here, and electric App-scooters are very popular in San Francisco (Scoot), so demand is already there in the West as well. The Vespa name and style is iconic and carries a seemingly eternal brand weight, so an electric scooter seems a likely success. Piaggio also plans to release a hybrid Elettrica X, with a maximum range of 124 miles and a smaller battery pack than in the standard Elettrica, with a 31-mile range. A gas-powered generator will make up the difference (like the Peugeot e-Tilt), and will take over when the battery charge dips below a particular level, or if the rider manually switches over. For versatility’s sake in urban settings, the Elettrica X can still be used as an electric vehicle for shorter rides. 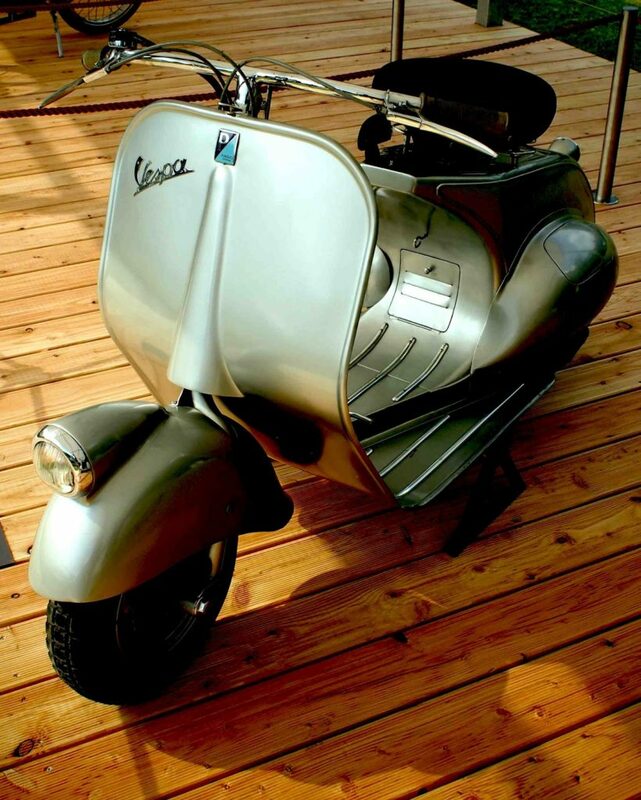 Read more Vespa history, about their record-setting streamliners designed by Corradino d’Ascanio here. Now that .. makes perfect sense . EV motorcycles ? Barely usable , insufficient range and devoid of all the pleasures of riding a motorcycle . But an EV scooter ? Range isn’t an issue … can’t say the sound of any scooter ever enthralled me , and it would be infinitely usable within the confines of urban / suburban living which is where scooters live . So I’m a bit confused by your statement, you’re saying that scooters are best suited for urban areas and the e market should just focus on them because a motorcycle and/or car isn’t good for urban? I am a downtowner, a person who has always lived their life in the urban core, there really isn’t anywhere I go on a daily basis where I have to drive for more than an hour, sounds perfect for an electric scooter, motorcycle or car to me. I think the biggest problem is how people put unneeded restraints/expectations on the what these companies are doing; this is the process. Like electric lighting and the combustion engine, everything takes time to evolve into a highly viable product. If history were to believe what you are saying then the first car would have been scrapped for so many reasons. People need to understand and enjoy the evolution of electric transport, we are all witnessing history and a cleaner and maybe even safer means of travel. I recently tested a Bosch e-bike (electric assist bicycle, with a motor integrated into the bottom bracket). It had a neat quick-release battery pack on the front downtube, making it easy for apartment-dwellers to bring the battery inside for charging. Such configurations are common on e-bicycles in Europe–but not legal on e-scooters? 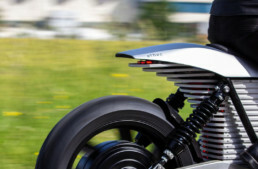 I agree with GuitarSlinger–electric motorcycles will remain a costly novelty until battery-cell energy density and overall range are dramatically improved. Lies, damned lies, and battery claims….